Dr John Stanturf is a former Senior Scientist at the Center for Forest Disturbance Science at the US Forest Service. He is Adjunct Professor of Forestry at both Auburn and Mississippi Universities in the USA. 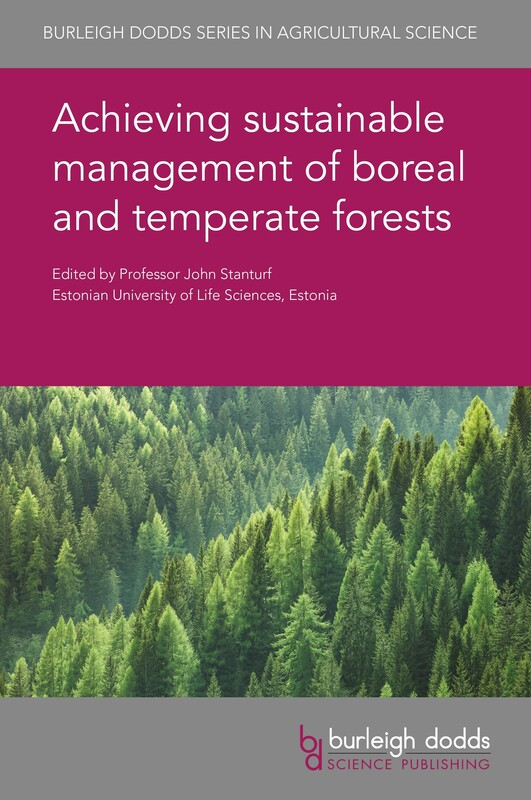 Dr Stanturf has also received an Honorary Doctorate from the Estonian University of Life Sciences for his contribution to forest restoration and has published widely on forest ecosystem disturbance and restoration around the world. This collection reviews current research on balancing commercial use with the range of ecosystem services delivered by boreal and temperate forests. Chapters survey advances in understanding forest ecophysiology, including mechanisms of root and canopy development and the way forest tress react to abiotic stress. The book also discusses current understanding of the ecosystem services that forests deliver and how they can be balanced with activities such as logging. Building on this foundation, it then reviews advances in sustainable forest management techniques, including improvements in breeding, monitoring forest health, innovations in planting, stand management and regeneration as well as harvesting/felling. The book also reviews ways of managing, insect and fungal pests as well as natural hazards. The final section of the book assesses sustainable ways of developing and diversifying forest products, including novel uses of timber, biomass, non-timber products and recreational services. Focuses on advances in understanding forest ecophysiology which underpin good management, including mechanisms of root and canopy development. Highlights ways of diversifying forest products, including novel uses of timber, biomass, non-timber products and recreational services.